The AMD A4-5150M is a mobile dual-core processor based on the Richland-architecture. As successor to the A4-4300M, the A4-5150M has a slightly higher CPU and graphics performance and settles in the low end segment. The APU integrates 2 CPU cores, a DirectX 11 graphics unit and the Northbridge along with a DDR3 memory controller. Compared to Trinity, Richland has been modified just slightly. Therefore, no changes in the feature set or the Pro-MHz performance can be reported. The design of the chip is still based on the Bulldozer architecture, which consists of so-called modules. Each module integrates 2 integer units, but only one FPU. Just like Trinity, Richland supports nearly all current techniques such as AVX (including FMA), AES or Turbo Core. According to our benchmarks, the A4-5150M performs similar to the A6-4400M and just matches a Pentium P6000. Consequently, the performance in less demanding applications and games is sufficient. The graphics unit called Radeon HD 8350G offers 128 shader units (VLIW4) and clocks slightly higher than the similar HD 7420G. With fast dual-channel memory, performance is somewhat below a dedicated Radeon HD 7450M. The power consumption of the entire APU is rated at 35 watts, which is comparable to conventional middle-class models of competition. Thus, the APU is best suited for 14 inch notebooks or bigger. The AMD A10-5757M is a mobile quad-core processor based on the Richland-architecture. In contrast to the A10-5750M, the 5757M is a BGA version. As the successor of the A10-4600M, the A10-5750M/5757M offers a slightly higher CPU and graphics performance and represents the new top model of the A-series (March 2013). Compared to Trinity, Richland has been modified just slightly. Therefore, no changes in the feature set or the Pro-MHz performance can be reported. The design of the chip is still based on the Bulldozer architecture, which consists of so-called modules. Each of the two modules integrates 2 integer units, but only one FPU. Just like Trinity, Richland supports nearly all current techniques such as AVX (including FMA), AES or Turbo Core. Our benchmarks show a performance increase of around 10 percent on the A10-4600M. 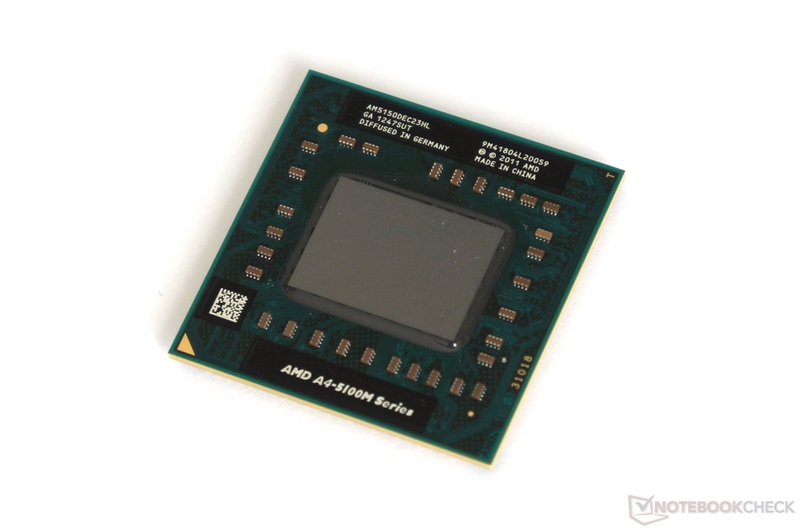 Thus, the A10-5757M performs at the level of a Core i3-2330M (Sandy Bridge). The graphics unit called Radeon HD 8650G offers 384 shader units (VLIW4) and clocks at 533 - 720 MHz (slightly higher than the HD 7660G). With fast dual-channel memory, performance is similar to a dedicated HD 7670M. 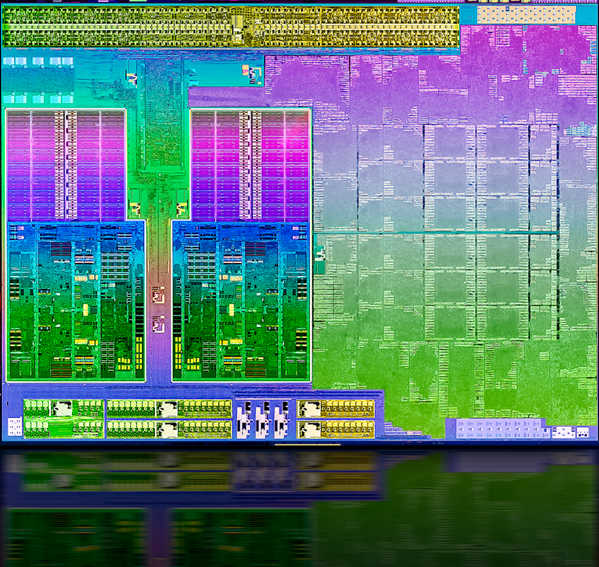 The AMD A8-5545M is a mobile low-voltage quad-core processor based on the Richland architecture. The APU integrates two modules with 1.7 to 2.7 GHz, a Radeon HD 8510G graphics card and a DDR3(L)-1333 memory controller. Compared to Trinity, Richland has been modified just slightly. Therefore, changes at the feature set or the performance per clock are not expected. The design of the chip is still based on the Bulldozer architecture, which consists of so-called modules. Each of the two modules integrates 2 integer units, but only one FPU. Just like Trinity, Richland supports nearly all current techniques such as AVX (including FMA), AES or Turbo Core. The CPU performance of the A8-5545M is expected to be roughly on par with a Pentium P6100. For most current applications and less demanding games, the APU has sufficient power. The graphics unit called Radeon HD 8510G offers all 384 shader units (VLIW4) and is slightly faster than the HD 7640G. The core is clocked at 450-554 MHz (with turbo). The power consumption of the entire APU is rated at 19 watts, which is slightly above normal ULV CPUs. Thus, the APU is best suited for 13 inch notebooks or bigger.